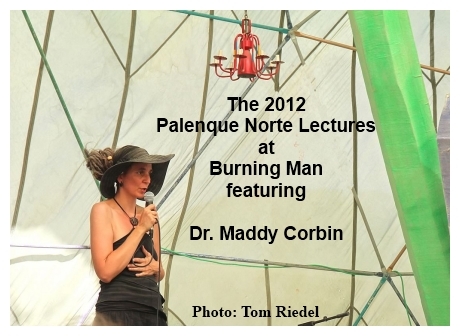 Dr. Maddy Corbin “The Politics of Knowledge in the Psychedelic Sciences” – Burning Man 2012 from Palenque Norte on Vimeo. Posted in Burning Man, Consciousness, Creativity, Culture, Palenque Norte, Psychedelic Research, Psychedelics, Science & Technology. Dr Maddy’s electrifying energy put me in an altered state, like great performance art. I’ll have to listen again to actually process her position. Smoking good listen! Im going to make my self a bit unpopular but I thought her talk was absolutely brilliant. I dont feel that she intended to say that we should do away with sience but that there are times when we are trying to validate the spiritual experience of native people by using science. But who are we doing it for, them or for us? The second half of my post is a question.Please do not take offense Im from London and have never been to burning man or the US so I do not know exactly how its organized but here we go….. Would it not be more beneficial to get people to visit burning man from sections of society that are deprived and most likely will never get a chance to get to an even like this? I mean I know for a fact that there are several black and ethnic neighborhoods that are facing a terrible time, lack of education lack of opportunities and so on. I know the US would like to think of itself as a middle-class country but for many ethnic groups in the US of A that is not a reality. It strikes me that the people who need an event like burning-man the most are once again are locked out some how.There are many people trapped in situations were an event like this could be life changing and open their eyes to a world they do not have access too as easily as some of us. Knowing this comment needs approval I want to thank you Lorenzo for drastically altering the path of my life, helping me to see past facades of culture. I’m a twenty year old lifelong vegetarian known for master Pokemon training. “Genesis Generation” was a great life tutor before making the choice to leap into the system and play the debt game. As a gamer hacking is always a factor, and for a degree with no worry of debt I found a way. It turns out that a university will allow you to gain a graduate’s degree free and pay you a salary as well if you teach during your study. Since the debt hounds won’t collect interest while studying, funnel all the “salary” into the undergrad degree. Not everyone can play this risky all be it hackable game, so since I can, I make efforts to release the knowledge free and fun on Youtube. By packaging learning in gaming simulation, people grasp ideas easier. Continue shaping the world with your ideas everyone…it’s working! Hands down the most obnoxious talk on this site. sorry. I’m finally commenting on this podcast! This is what I call a “high data density” presentation so it took me a few listens to really “get it”. I thought it was wonderful. Thanks Lorenzo for doing your part in making this talk available — esp those of us who got screwed with the Burning Man fiasco and couldn’t personally attend. I’d particularly like to comment on what Dr Maddy said in the timeframe 28:44 – 32:59 where she talks about the implications of the “2nd wave” of Psychedelic Research (PR) now taking place. In short, I agree with her. The PR that’s been going on since Strassman is AWESOME, but since it’s under the funding (and therefore, direction, since no funding is extended unless the “proper” research is being done) of Big Daddy (monolithic “democratic” governments), it’s going in this clinical / pharmaceutical direction that’s going to lead to a dead end. They know it because in truth all they’re interested in is coming up with new products to sell for money. THERE IS SO MUCH WORK TO BE DONE! It’s insane to rely on government to fund all of it, much less approve of it. Researchers need to look elsewhere for both the funding (which may not always be necessary) and the topic (ask any experienced practitioner of altered states of consciousness for an almost endless list of topics). 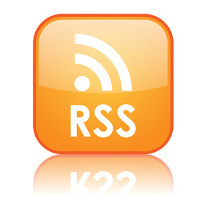 Does a “Black Market” of serious PR exist? If so, will anyone actually come out and say so? Peace to All and thanks again Lorenzo and Dr Maddy. This was a terrific talk, Dr. Corbin’s observation about bridging the polarities that arise between science and spirituality is of great import at this particular juncture. Certainly she speaks to psychedelics feeding directly into science, and science feeding back into the world of spiritual experience. This is a well balanced and often true direct experience with many straddling both worlds, and the ill-gotten booty may be hard won gold.. We are on the threshold or perhaps beyond a second wave of this psychedelic dialog since the 60’s. Their are more co-ordination points from both camps then there ever were before. It is here that the old dogmas from each side be dropped and the similarities be addressed in a more concerted manner. The primary purpose of both spiritual and scientific practice would at least appear to be unified in their search for truth, beauty and meaning. Finding the unification would also appear to be the over-arching necessity for either of these practices to be fruitful and remain coherent in there primary aims. Thanks for these continued podcasts Lorenzo! We can’t all get to Burning Man or Esalen to hear such talks..so glad this cyberdimension exists for just this reason! I thought this was a very good talk, even though I disagree with a number of her positions and assumptions. For example, I was taken aback by her full frontal assault on science, and my hat’s off to Bruce Damer for expressing his disagreement as well. Science is going through some growing pains at this moment in history but it’s still the best paradigm we have. The alternative is to accept paradigms which potentially lead to people getting burned at the stake because they believe that the earth revolves around the sun, or in modern times, little girls getting shot because they want to go to school. Additionally, her implication of science in our current environmental crisis is so wrong that it personally offended me, as scientists around the globe are and have been blowing the horn about the severity of the climate situation for decades. In fact, were it not for the valiant efforts of scientists who have painstakingly developed real metrics and documented observations we wouldn’t have a prayer (pun intended) against the forces of corporate greed and religious zealotry. at 39:33 i’m still waiting for the scientific method to be distinctly named. it’s been greatly spoke upon, and referenced with the word ’empiricism’, but not as yet directly named. it doesn’t matter but leaves me curious. i appreciate the spirit of what she’s saying but wish she’d gone an extra inch there. maybe there will be more in a bit. no matter. Right now, there are so many conflicting sources of information regarding the nature of reality that anybody who isn’t thinking for themselves (by now) is probably losing their minds. Historically, wars have been fought over territory. Here in the Information Age, the human mind is the new turf and battle strategies are being designed at this very moment to destroy, maim, claim, and/or govern as many personal noggins as possible. So, my friends, hold on to your trick tophats… a human mind is a terrible thing to waste. i like the questions she raises about Liberation. *whose* ‘cognitive liberty’, eh? isn’t there a right to be oblivious? well, yeah maybe, but it’s not like that tab’s being thrust down one’s tongue against their will -but for all that, her question’s centrally germane. lastly, her focus on chemical psychedelics predominantly leaves me questioning that bias as my own experiences differ. shrooms, for example, have always been more obtainable. and of course that’s just the least of it going down the comparison path. yeah, more women speakers for sure, please. many many more. underline that thrice. what’s become of Wrye Sententia? checking her site, it’s like she disappeared five years ago. …well, lemme ooze into this here -does anyone else have browser issues with the tribe.net site? i’d ceased trying so long ago, i don’t even recall what the browser issues even were. tracking cookies? bog slow? i just don’t recall. but there it is in deoxy’s New list alla time, and i always wonder what’s there. greetings to all. c’mon by, left field’s wide open.